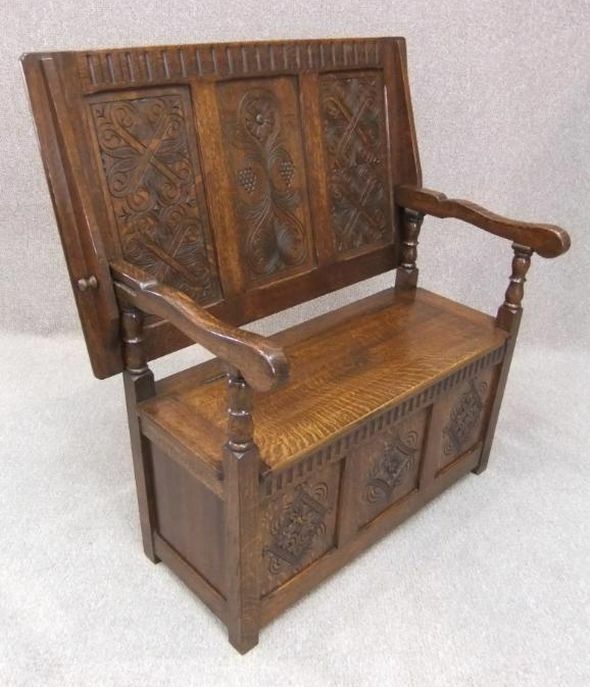 A classic piece of quality English oak furniture; this beautiful monk’s bench features both a traditionally carved back and front panels. An extremely useful item for any hallway porch or conservatory; this piece has a large lift up seat which gives ample storage for boots, shoes etc. This 1920s oak monks bench is in excellent condition for its age, and as you can see by the selection of photographs, it can conveniently turn into a useful side table.